Raise your hand (or just nod in agreement) if you resolved to positively evoke a lifestyle change in 2017. Many of us make some sort of resolution or goal to begin a new year, but almost as many fail to completely follow through. There are varying reasons, but often the luster of new goals fade as hard work sets in. We all can embrace a challenge for a while. But if results are slow or we lack adequate motivation, fatigue can cause goals and resolutions to forever fade. So much of the memory wellness education, research, and lifestyle adaptations MemoryMinders represents and advocates revolve around the concept of creating and/or adapting habits to assist our memory. A deeper understanding of habits is elementary and I’m excited to dig into learning more and helping us all with our habits this year. Did you know that habits are a three-fold process? I shared a bit about this on my other blog before the holidays to look at creating healthy habits before the often less-than-healthy holidays. Habits encompass a cue, prompting the routine (or action) which then results in the reward. If we want to create new habits or tweak existing ones, we need to change one or more parts of this habit loop. For example, we want to remember more. That’s a bit vague, so let’s say we want to remember names better. Then the cue of someone saying their name must evoke a routine to help remember it, with the reward being able to remember the person’s name later in the conversation or another time. 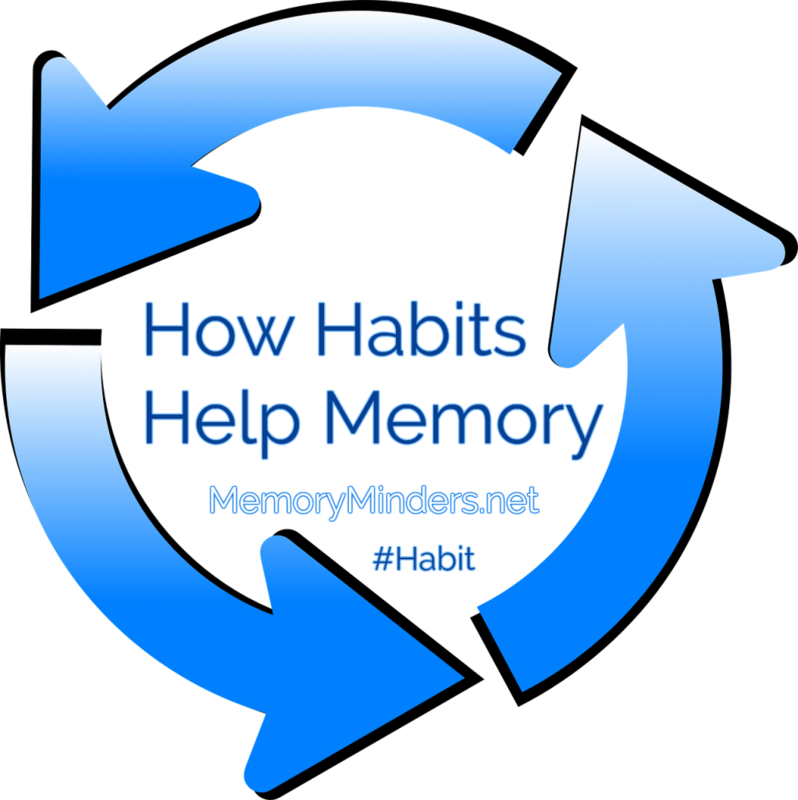 Memory techniques are the perfect routine to enact for this new habit. Paying attention to the cue of someone saying their name is also key. We educate on these various techniques at MemoryMinders This is just one way we can incorporate habit change or creation into our memory wellness. I’m excited to share small tips here and incorporate this deeper knowledge of habits into our curriculum and Academy offerings. I hope you will enjoy going on a journey to better habits with me in 2017. Feel free to comment here or chime in on Facebook or Twitter with any new resolutions or habits you’re working on this year. I’d love to encourage you! Here’s to new and healthier memory habits in 2017!